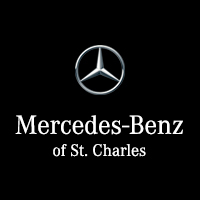 There are many models to choose from when you come to Mercedes-Benz of St. Charles, but we are ready to find the one that is right for you. We would love to help you get the perfect model here, and we think our new Mercedes-Benz models may catch your attention, like the 2018 Mercedes-Benz GLA. The Mercedes-Benz GLA 250 is a small SUV that gets a 2.0-liter turbocharged I-4 engine that is paired with either front-wheel drive or 4MATIC® all-wheel drive. To both save fuel and reduce emissions, it has an ECO-START®/Stop system that automatically shuts off the engine at stoplights and other idle situations. As you would expect with a Mercedes-Benz car, you are surrounded by luxury. Standard features include items that will make life more convenient, like a power liftgate and remote start with the mbrace® apps. There is plenty more that you can add on as well. Enjoy your favorite music with the optional 12-speaker harman/kardon®* sound system. You can also choose to opt for a panoramic sunroof or a 12-color ambient lighting system. There is plenty of the safety end of this Mercedes-Benz SUV too with many advanced safety features. The Active Brake Assist system is standard and will warn the driver of a potential impact. If the driver does not react in time, it will apply the appropriate level of braking force. The ATTENTION ASSIST®* system will detect signs of driver drowsiness and warn the driver. This system is also standard. An optional feature is the Active Lane Keeping Assist, which will redirect you back into your lane if you unintentionally veer out of it. Finally, we cannot forget to mention the rain-sensing windshield wipers that will automatically adjust the frequency based on how heavy the rainfall is. Mercedes-Benz dealers are excited to share this model with their customers, and we are no exception. Head over to our lot to take it out for a test drive. We can also show you other new and pre-owned Mercedes-Benz vehicles while you are here so you see all your options.